The ED will probe alleged illegal funds laundered by the accused and the proceeds of crime generated due to such activities. 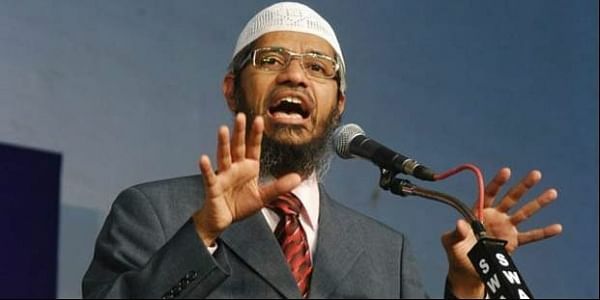 Salafist preacher Zakir Naik and his outfit Islamic Research Foundation under the Prevention of Money Laundering Act. (ECIR), equivalent to FIR in police parlance, against Naik and others after taking cognisance of a case registered by the NIA under the Unlawful Activities (Prevention) Act against them, agency sources said here, sources said. into the banking transaction by Naik and IRF and will soon issue summons to the accused, the sources said. The NIA and the Mumbai police had jointly carried out searches at 10 places in Mumbai including at the residential premises of some of the office bearers of the IRF. during the probe by Bangladesh authorities for a terror strike at cafe in Dhaka earlier this year, has been booked along with unnamed IRF officials under section 153-A of IPC (promoting enmity between different groups on grounds of religion and doing acts prejudicial to maintenance of harmony) beside various sections of UA(P)A.
Naik and IRF have also been booked by the NIA for UA (P) A sections for being member of an unlawful organisation and offences for being member of illegal organisation besides being involved in a conspiracy for committing any terror act.